Wow, okay I know it seems like forever since I have posted anything. But things have been a bit busy for me. Between a lot of work & some unforeseen press from the Wall Street Journal, I have been a busy little bee. After long over due, I am happy to say the site make over is almost ready to launch. Just working out some minor bugs with Google Custom Site Search. I am hoping to re-launch the site this weekend. Here is a quick screen shot of the site from a few days ago (I would show you the current version but then it wouldn't be a surprise during the re-launch). 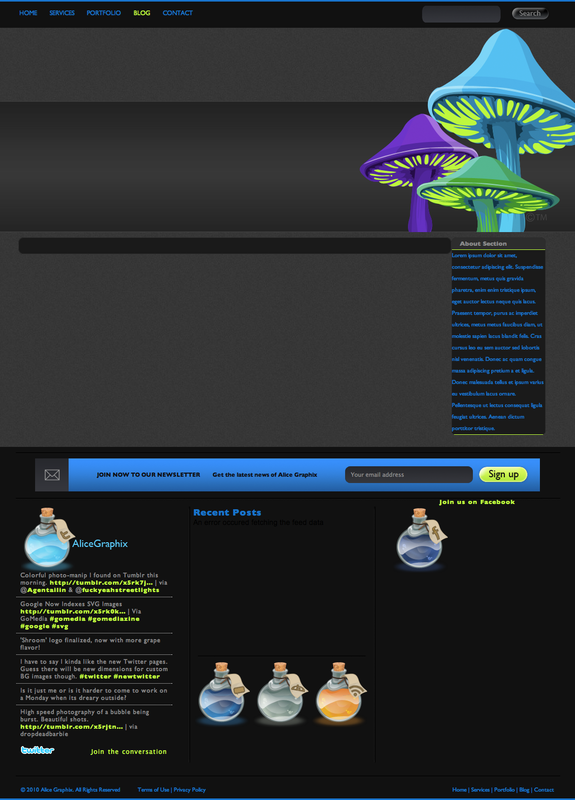 Of course the social media 'orbs' are making their appearance on the site still. I am a bit of a sucker for those things ... so shiny & bubbly ... I kind of want to drink one. 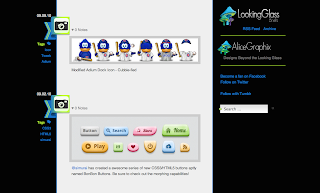 Okay I digressed, back to the site update; the Alice Graphix logo has been re-colored. I am happy to announce the addition of the purple mushroom. I think it gives the logo a little needed grape flavor. Don't worry if you are partial to the signature blue & lime colors, they are still a mainstay of the site. Also in my absence I created http://s.hrink.me ... my own custom URL shortener for social media purposes. I created it using bit.ly/pro. This way I can keep a watchful eye on all the links I put out there on the social media web. Giving me more insight into which content you like best so I can try & supply you with more of it. 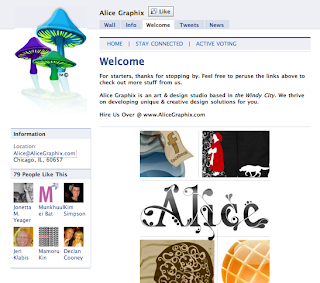 I now have a micro-blog hosted by Tumblr that feeds content to the Alice Graphix fan page on Facebook. Tumblr has a cleaner import into Facebook than other options that I tried. This also allows me to showcase more content from others that is of interest to you. So if you happen to be a Tumblr lover, or just casual user be sure to check out Looking Glass Briefs & be sure to recommend it so it makes the listings. Well if you are reading this & are not a fan on Facebook then you should take a quick jump over there & become a fan. Okay I am sorry users are no longer referred to as fans, they are 'people who like Alice Graphix' ... yeah okay you will alway be a fan in my book. That & frankly the latter just sounds sort of silly. Come on you know you agree too. So if you have not been over to the fan page in a while, or have never been there at all, there is a new custom welcome tab. The welcome tab contains all the basics as well as a space to check out any designs I have currently open for voting over at Threadless. Lastly on the list is a little application on Facebook that will let you 'throw' some of my custom shroom graphics at your friends. 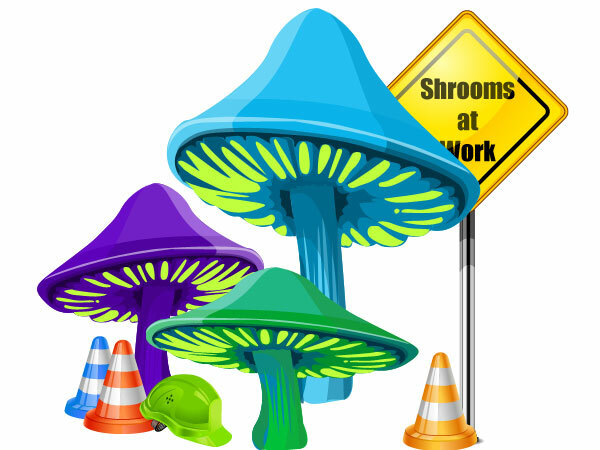 Start a fungus flinging frenzy with friends ... sling shrooms at siblings with Shroom Zoom! With all the other things I am working on this one is at the bottom of the list, but one I am very exited to get done. There are a number of mushrooms you will be able to hurl at people like slimy greens ones & giant red ones. 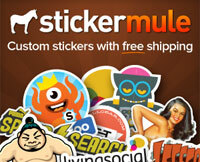 Don't worry the app won't cost you anything & is free of annoying ads. Just a clean little app to have fun with. Keeps your eyes peeled for preview images being posted to the Fan Page over the next few weeks.